Cannabidiol which is more commonly known as CBD has a variety of medicinal uses which never fail to amaze people all around the world. CBD has several health benefits which have recently accounted for its legality in the United States. As a natural pain reliever, CBD has now been known for treating Epilepsy disorder. CBD is a counterpart of hemp plant which is not psychoactive in nature. CBD has always been under controversies all around the world as there is not much scientific evidence to prove its effectiveness. Although there are findings to suggest that CBD is effective in withdrawing many symptoms related to health disorders. Epilespy is a neurological disorder affecting the brain and nerves. The two rare disorders of epileptic seizures are Lennox-Gastaut Syndrome and Dravet Syndrome. Both the disorders are difficult to control as they are severe enough with repetitively occurring seizures. Lennos-Gastaut Syndrome: This is a condition which affects children of ages between 3 and 5. It involves different seizures types. Dravet Syndrome: This is a rare genetic condition which is known to occur in the first year of life. The symptom of DS disorder is frequent fever and seizures with it. Research is still being done on various uses of CBD for neurological disorders as it has a positive role in treating epilepsy seizures. CBD is known for its anti-seizure properties as it has very few side effects compared to other medicines. Therefore, CBD is best known for treating Epilepsy disorders. How Does CBD Treat Epilepsy Disorder? Research has been carried out to ensure human safety for using CBD. The effectiveness of CBD was approved by the FDA as the medicines available were not really helpful for epilepsy treatment. CBD is the main component of the medicinal drug derived as Epidiolex which acts in the therapy for epilepsy. Epilepsy seizures continuously affect the lives of individuals suffering from it and no cure was known until CBD was discovered. Epilepsy is a disorder that affects the brain badly for which there is no official treatment available. Several types of research had been carried out before concluding that CBD can be actually effective for reducing seizures to a maximum percent. Considering the numerous benefits of CBD, it is assumed to be no less than a miracle. How can CBD Stop Seizures? 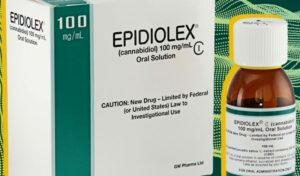 The FDA then approved CBD use in Epidiolex as medicine which may only be prescribed by doctors in a specific dose. It is recommended not to exceed the dose prescribed by a pharmacist or doctor for your own safety. CBD is also gaining fame for its effectiveness for other neurological symptoms or disorders such as neuronal injury and various psychiatric diseases. It was in June 2018 that the news came in that FDA has approved CBD for treating epilepsy. Following the news, Dr. Scott Gottlieb wrote concerning the safety of CBD for humans. He stated that CBD, in its purified form is acceptable for use in the drug which tends to treat two rare epilepsy disorders. Also, it was made sure that no misunderstandings take place as marijuana is still illegal for human use. Marijuana is a different chemical that tends for the euphoric high state of human mind. Cannabidiol blocks certain receptors that may react with the body functions negatively. Hence, it enhances GABA receptor activity for the overall wellbeing. CBD is also known to stabilize ion channels which have a similar effect to that of Banzel, Keppra, and Trileptal. The decision of approving CBD in the United States was made after sound clinical trials resulted in human safety for using CBD as part of treatment. 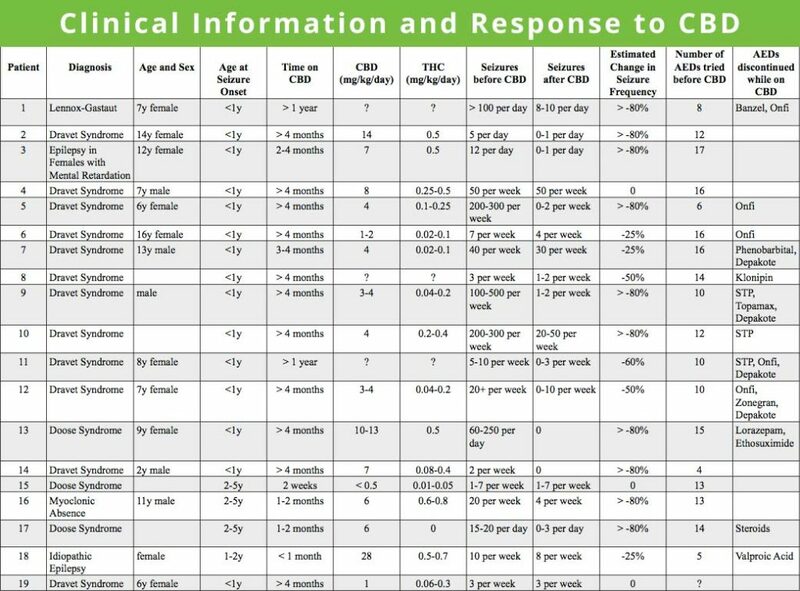 Here is the chart mentioning the number of trials conducted for the effectiveness of CBD in Epilepsy treatment. CBD is the major component of the drug, Epidiolex which may have some side effects. Some of which may include liver problems, nervous system problems, lethargy, infections, rashes, reduced urination, breathing problems, and gastrointestinal problems. Users may also experience weakness or feel unwell as it will have an effect on the various functions of the body. Epilepsy patients may take time to adapt to the changes occurring in the body however, it is not necessary that everyone goes through the same condition. The medication is specifically prescribed for the treatment of epilepsy disorders in specific doses which if exceeded, may cause harm to the body. In spite of the several types of research and studies been carried out for the effectiveness of episodes, there is still a lack of evidence for its use in the long term. It is always advised to take care of the dosage taken as it may interfere with your body in many ways. Make sure epidiolex does not react with other medicines and for that, you may need to talk to your healthcare provider. CBD has also been studied for its antipsychotic properties similar to the drugs classified for various psychiatric problems. Also, CBD is helpful in treating schizophrenia through its safe and effective therapy. The side effects were thoroughly studied which only affected in cases of large doses. Research says that CBD does not have any significant side effects in adults as it only works for improving mood and nervous system. Although some cases reported that CBD had effects of tiredness, diarrhea, appetite and weight changes. However, there is still a lack of evidence for the safety data of CBD as researchers have not included children in their study. CBD users were reported to have increased blood levels when taking other anti-elipetic drugs along with CBD. Therefore it was advised to change the dose of medicines as they may react together. Also, CBD users have to discontinue the drug as it caused problems with the liver enzymes. What do Studies Say about CBD? A Study for proving the effectiveness of CBD was conducted on 48 patients with Epilepsy. Although the efficacy of cannabidiol could not be proved for the treatment of epilepsy, it was still proved to have no adverse effects on health. Also, a dose of 200 mg to 300 mg was administered safely for a short period of time. Another study for the hypnotic and anti-epileptic effects revealed that subjects receiving cannabidiol slept more and recalled fewer dreams. Also, it was noted that 7 out of 8 epileptics improved their condition whereas only 1 of the placebo patients showed improvement. How Can CBD be Used? Cannabidiol can be used for several purposes in various forms. It has been seen as an alternative for narcotics addicts. Although CBD does not have psychotic effects, it may still alter the neurological system because of the receptor activity. CBD Oil may complement other medical approaches for the treatment of physical and neurological disorders. CBD Oil is not known for producing the high state of mind as it is derived from hemp which contains only traces of THC. Therefore, a drug test might still show up THC in results which will only be in a negligible amount. What do Reviews Say About CBD? People have shared their positive experiences online which reveal how effective CBD was in treating their condition. Adding CBD oil to the daily supplement regime showed amazing results for various conditions such as aches, anxiety, and other health disorders. Some of the customers also experienced life-changing pain relief through CBD rich products.